Dial Archive | Dial | Mjcnov | One Lucky Guitar, Inc. 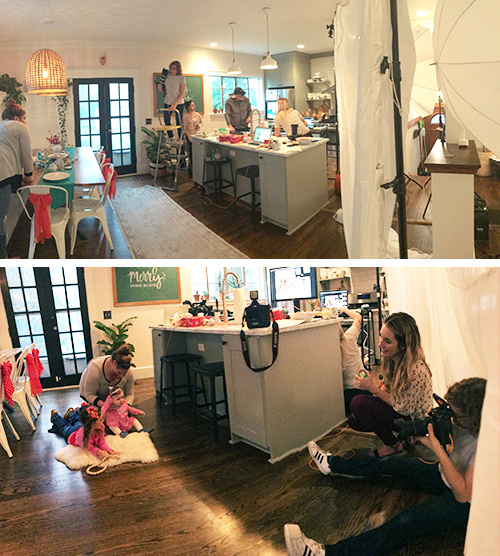 Working on a Matilda Jane Clothing release is a dream for us at OLG. And “A Very Merry Make Believe” was no different. Filled with holiday cheer, maximum cuteness, unpredictable patterns, custom cookies, glitter, hair bows and tiny deer props… this project was nothing short of magic. OLG was responsible for the photoshoot production, lookbook writing and layout, video direction, script and editing, as well as the prop and set styling. 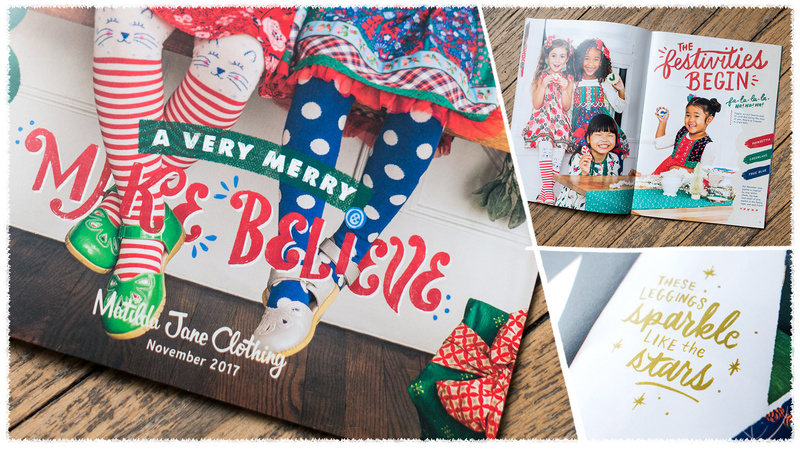 We’ve been living in a holiday wonderland since the beginning of September and we’re so excited to support Matilda Jane’s November release, and showcase how it all came together! MJC handed us a box of the coziest, prettiest-patterned fabric and let us run wild! So we made giant, fabric-wrapped presents, outfitted the kitchen table with runners and chair bows, and filled the sets with their unique MJC style. This release was all about showcasing that extra special something in the air this time of year brings. We strived to highlight the added joy and sparkle in an MJC girl’s eye when she’s with her best friends making popcorn garlands and writing letters to Santa, or wrapping presents and hanging the stockings with her mom—while doing so in the perfect holiday pieces that MJC designs. 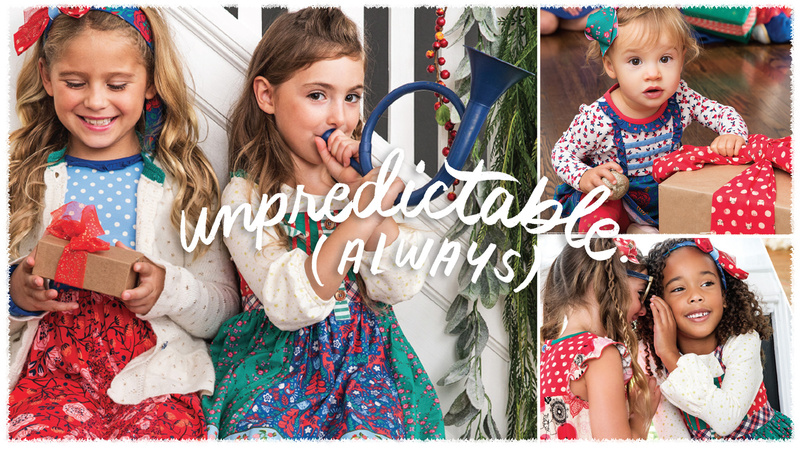 Check out the November lookbook on Matilda Jane’s site, and view the collection videos below. We can’t wait to share more in December, so keep a look out! 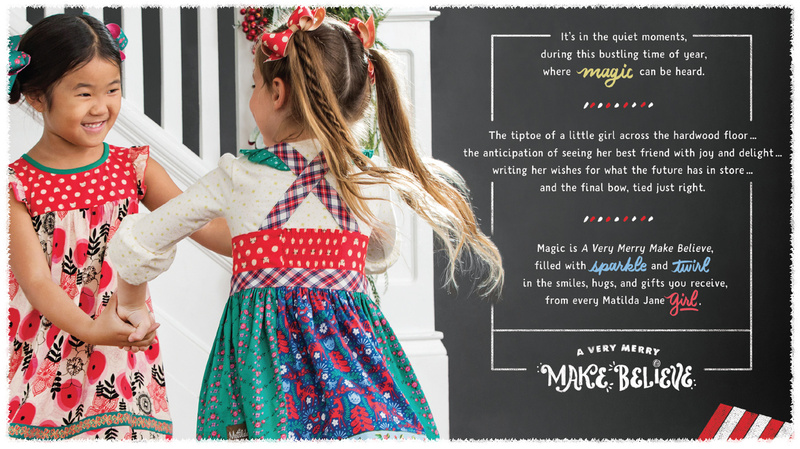 Leading up to the release of “A Very Merry Make Believe,” we created four sneak peek videos that Matilda Jane shared on their Instagram page to build excitement for the new collection. Very special thanks to MJC, our on-set gal Lucia, and all of our collaborators on this project!